Walking into the Family Room at Dennis Morrison’s house in Fresno, California to practice a little guitar, I saw gold records on the wall. Not just any gold records. These were records by The Beatles and Buck Owens. It was 1975 and people didn’t have gold records on their wall unless they earned them. I asked why he had gold records on his wall? 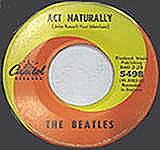 Dennis just replied by pointing to the little print of the songwriters below the title “Act Naturally” on the orange and yellow Capitol label. It read John Russell and Voni Morrison. He told me that Voni Morrison was his mother. At that age I could only stare for probably 5 – 10 minutes. I knew it was Buck Owen’s first number one single. It was also the only country song The Beatles covered. 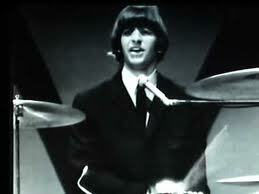 Ringo Starr sang and it was featured as the A side wile the flip side was “Yesterday.” The song was also featured on The Beatles album Yesterday and Today. 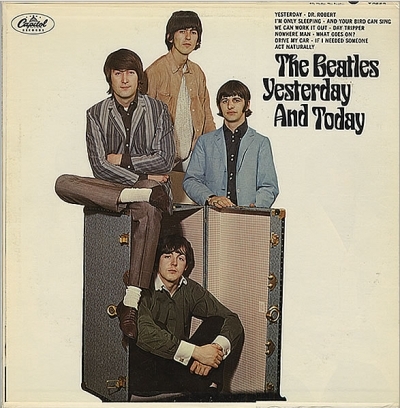 Many record collectors know about the infamous “baby butcher” cover that was replaced by The Beatles standing around with some vintage trunks. The album was never released on CD . The songs that were featured on that album were listed on the Past Masters CD since the band opted to use the English releases as the CD releases of the band. I was astonished, here was the best guitarist in my Junior High School in Fresno, California, Dennis Morrison, and his Mother was a famous songwriter. I couldn’t play very well at that point but I managed to be around the best and learned what I could. Dennis had mastered a lot of Jimi Hendrix among other things and he was an inspiration in the ninth and tenth grade. Voni wasn’t around that much. She enjoyed being around friends and her favorite hang out was The Lounge at Blackstone Bowl. Dennis and I would ditch school and eat some food on her tab at The Blackstone Bowl plotting how we were going to make it in the music business. If she did come home while we were practicing she would stop in the den and offer words of encouragement. Dennis would encourage her to sing with us and we would play while she sang “Kansas City”, “Route 66” or “Act Naturally”. She had a great voice and a warm personality. I couldn’t help but notice the BMI royalty checks coming in every month. It was my first introduction to songwriting royalties. 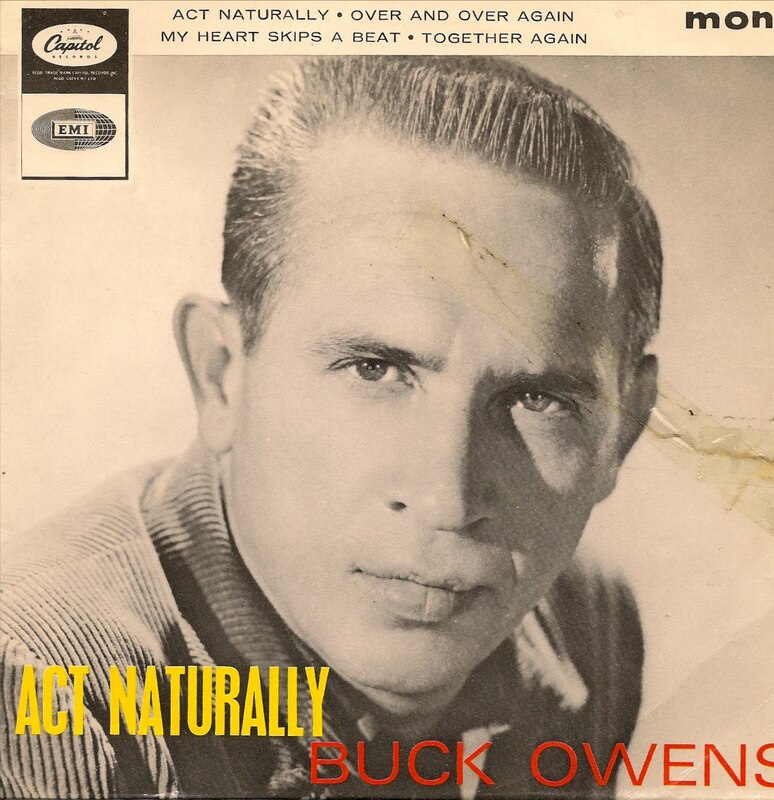 Hee Haw was a huge success and every time Buck Owens sang that song or it was played on the radio or another record was printed by The Beatles or Buck Owens with “Act Naturally”, Voni’s check would get bigger for that month. We lived in a typical middle class neighborhood in Fresno, California. Voni’s lifestyle was different though. The songwriting royalties allowed her to determine her own hours and they drove a Cadillac which was a big deal then. Voni would introduce us to her friends when they dropped by. We went to tapings of “Nashville West” which was a radio show taped in Fresno that went out on country music stations all over the United States. I remember being introduced to “Red”. Everybody called him “Red” but I later found out he was Red Simpson that was part of the Buck Owens circle. When Terry Bradshaw decided to do a country album, Voni had a couple of cuts on the album. 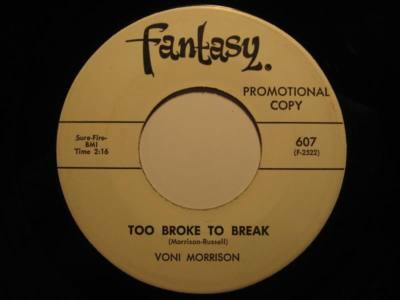 Voni gave me a thick 45 radio station single on the Warner Brothers label with her song to give to my parents. I was really proud to give that to my Uncle Clyde who raised me. He was from Kentucky and enjoyed Country Music. He was a little concerned about their freewheeling lifestyle. He knew I spent a lot of time over there. He knew there was drinking and some cigarettes involved but it wasn’t me. He knew I enjoyed going over there and telling him the tales of going to the recording studio and such. Dennis quit High School mid way through tenth grade and I lost track of him. I always wondered if he would be a great guitarist in a rock band or with a Country act with his Mom’s connections. The couple of years I was around Dennis and his family would stick with me on my quest to play guitar and write music for the rest of my life. When I moved to Nashville, I found that the songwriting community had given full ownership to Johnny Russell for that song and that he had basically written it himself. I figured if that were true and she was given songwriting credit, it was because she could plug the song to Buck Owens since she was in the Nashville West-Bakersfield Sound circle that was so popular in the early sixties. A recent biography written by Eileen Sisk about Buck Owens kind of cleared the air. They were listed as songwriting partners whether or not most of the song was written by one or the other. That was no different then some other partnerships at the time. One in particular, John Lennon and Paul McCartney. 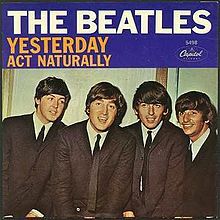 They were a songwriting team and always listed as partners although many times the songs were fully finished by one or the other when they were brought to record by The Beatles. Voni had a big impact on me at the time. I wanted to be a great guitarist but more than anything I aspired to be a songwriter. It helped me to realize that you don’t have to be in some building in L.A. or New York working for a conglomerate to be a songwriter. If a great songwriter could live two blocks away from where I grew up, I could be one too. 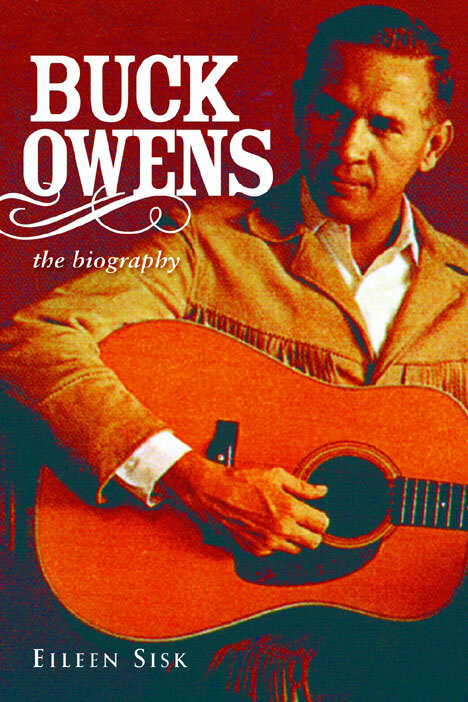 I would recommend Buck Owens: The Biography by Eileen Sisk. It would have been more appropriately titled “The Tale of The Buckaroos” because it goes into great detail from interviews what The Buckaroos made for wages, what their lifestyle was like and more than anything gave a feel what it would have been like to work Buck Owens. One of the great finds for me was not only her thorough take on the story of how “Act Naturally” came about ending up on vinyl with Buck Owens, but also a picture of a beautiful Voni Morrison standing between the wives of Don Rich and Buck Owens in front of The Fresno Barn in 1962 when it was the venue for Country music in Fresno, California. Last but not least, Dennis, if you are out there, I would sure love to hear from you.